A kitchen and dining area share daylight and views. Recycled materials help keep costs down. As a design writer, I regularly see large, beautiful homes. While I may fantasize about having a walk-in closet the size of a room or a gleaming, professional grade kitchen, the homes that really speak to me are those that are much more compact. I love a well-designed small space, where everything has its place and personal touches abound. Small house living is a trend that many people are embracing, says Katie Hutchison, an architect and author of “The New Small House” (Taunton Press, 2015). A 2015 survey by the National Association of Home Builders revealed that millennials, who are entering the home-buying market in larger numbers, are driving down home size. Millennials don’t have as much ready cash or free time as older homeowners, so they are seeking less expensive, more low-maintenance choices for their homes. Rather than square footage, they are interested in smarter, efficient homes with Energy Star certifications and the ability to control their heating and electronics from their phones. Hutchison sees the utility of a smaller space. She lives with her husband in a 1,500-square-foot house that doubles as her office in coastal Rhode Island. 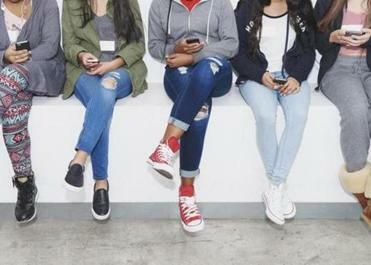 Gen Z’ers — those born between 1996 and the present — are hoping to avoid the mistakes that millennials have made. Read: What makes millennials give to charity? 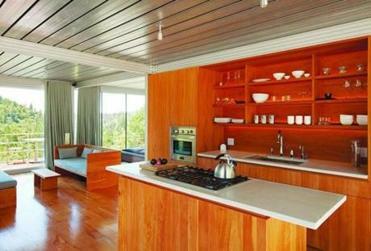 Hutchison outlines design strategies that are key in maximizing space in a smaller home. Top of the list is capturing daylight from multiple directions. “Open floor plans, ample windows, half-wall dividers, and translucent or clear glass-paneled interior doors allow daylight to travel more deeply into the interior of a house, which works to seemingly expand what might otherwise feel like small, cramped spaces,” she says. Hutchison also recommends creating multipurpose spaces. “Spaces that are open to each other allow for overlap of function and greater flexibility,” she says. “In a small house, there isn’t room to accommodate a different room for each activity.” Movable elements like partitions or doors on tracks, cabinetry on wheels, and built-ins that fold furnishings into walls allow spaces to be used for multiple purposes. 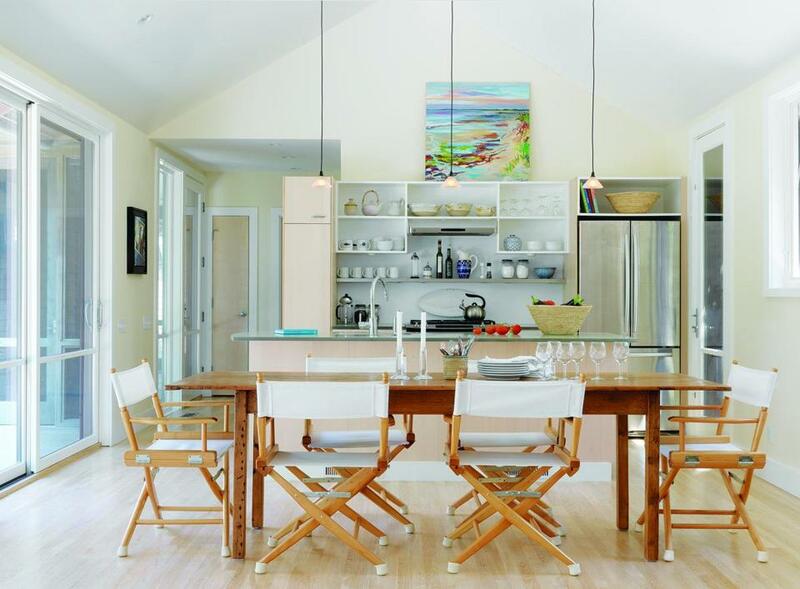 A kitchen island on wheels can be rolled aside to make room for more leaves in a dining table. Of course, there are challenges to living in a smaller home and for many people they arise well before they move in. Nicole Gabai, who runs a Cape Cod and West Hartford-based professional organizing firm, B.Organized, sees lots of clients who are downsizing from bigger homes. 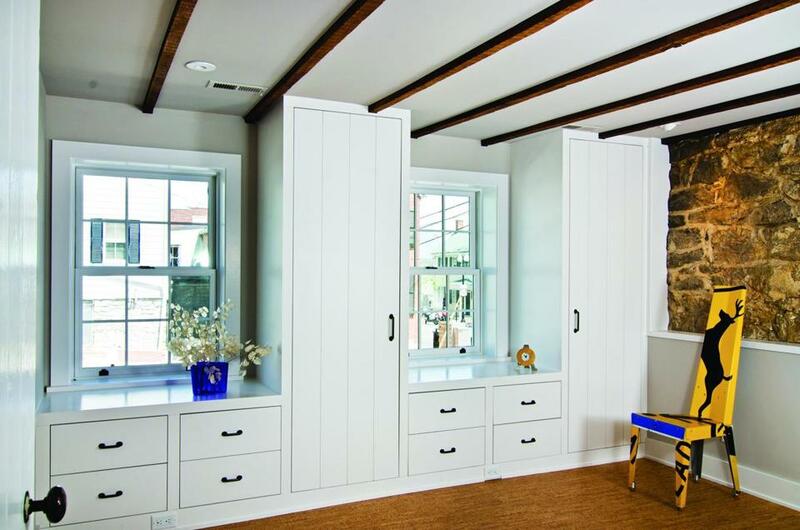 Custom built drawers and cabinets in a bedroom replace dressers or closets. As people prepare to move into a smaller house, they have to reevaluate their lifestyle and consider how and if items will be used. “You might have a large collection of vases. I’d suggest rather than having 30, keep three. Think about how and where you might want to display them and which ones you’ll be inclined to use,” says Gabai. Similarly, if you have an abundance of framed family photos, pick your 10 favorite ones to display and store the others in a climate-controlled spot where they’ll be safe. While empty-nesters downsizing make up a large segment of folks living in smaller homes, living small appeals to a broad demographic. While researching her book, Hutchison says she spoke to “a great range of people. Those who live alone, couples, young families, older families,” she says. The 2015 National Association of Home Builders survey asked home builders what they would most likely include in a typical new home. Top features include those related to increased energy efficiency and a separate laundry room — which also topped the millennials’ most-wanted list. In fact, 55 percent of respondents said they wouldn’t buy a new home without a laundry room. Least likely features, says Rose Quint, NAHB assistant vice president of research, include high-end outdoor kitchens with plumbing and appliances and two-story foyers and living rooms. Storage is at a premium in a smaller home. Gabai recommends buying furnishings that can do double duty. “Rather than buy a standard ottoman, look for one that opens and has storage. If you have a shelf under a coffee table, look for a decorative box and stash photo albums or throws in it. “Utilize nooks and crannies,” says Gabai, who often wedges bookshelves in corners, behind doors, and even behind the sofa. “When movers come to move me out of my homes they always underestimate what I have because I’ve tucked so many things in spaces that aren’t obvious,” she says. A small, but workable kitchen. 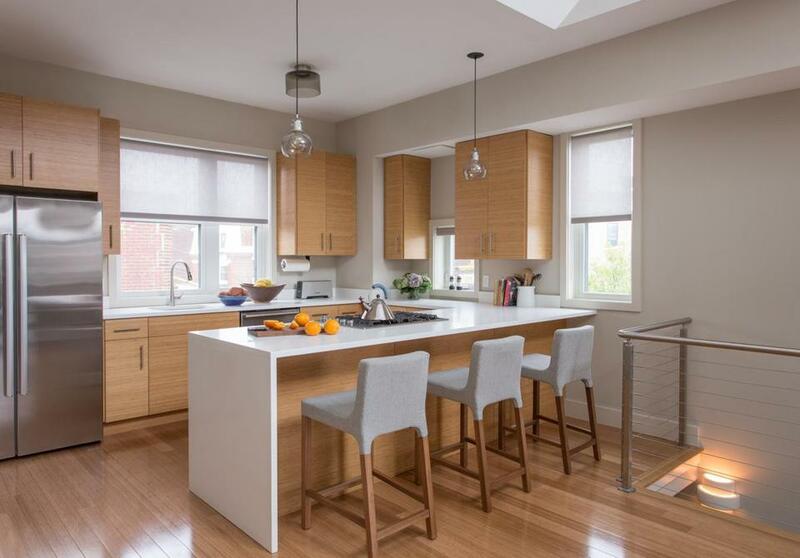 Boston interior designer Tiffany LeBlanc points out that walls are usable space. Rather than pile papers atop a desk in a tight area that acts as “command central” install wall units to store important papers and display calendars and notes. In a compact bedroom, rather than try to squeeze two nightstands in, affix swing-arm lamps on the wall above the bed. “When working to design a smaller space, think about it like a kitchen. You want to design for maximum efficiency,” says LeBlanc. Commit to what the space is actually being used for and then use every square inch that you have. Meanwhile, don’t be afraid to add interesting design elements in a smaller home. “You can still do all the things you would in a larger scale property,” says LeBlanc. “Hang big artwork and install art lights or create a gallery wall.” In moderation, patterned wallpapers and darker colors can be great in small spaces, too.